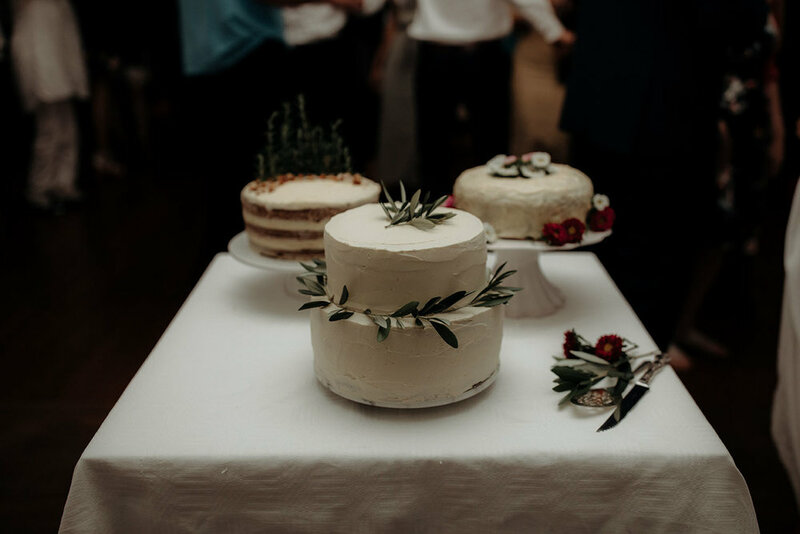 This is the last of the three beautiful wedding cakes we had at our wedding. Made by our dear friend Libby, this went down an absolute treat! Originally taken and adapted slightly from the Rosemary Lemon Cake by The Little Epicurean, we found the quantities below worked better. In a heavy bottomed sauce pot, add butter and rosemary. Melt over medium high heat and bring to a boil. Allow to boil for 1 minute. Remove from heat and allow to cool. Allow rosemary to steep for 60-90 minutes until butter is cool to the touch. Strain out rosemary and keep butter chilled in the fridge until ready to use.